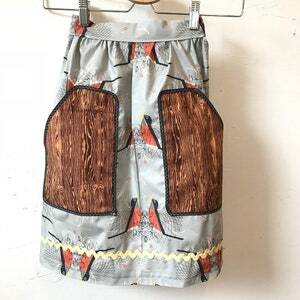 Bringing old young again! 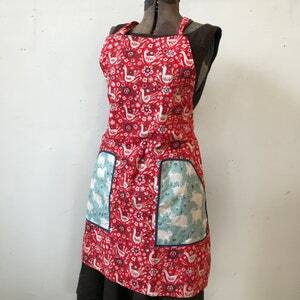 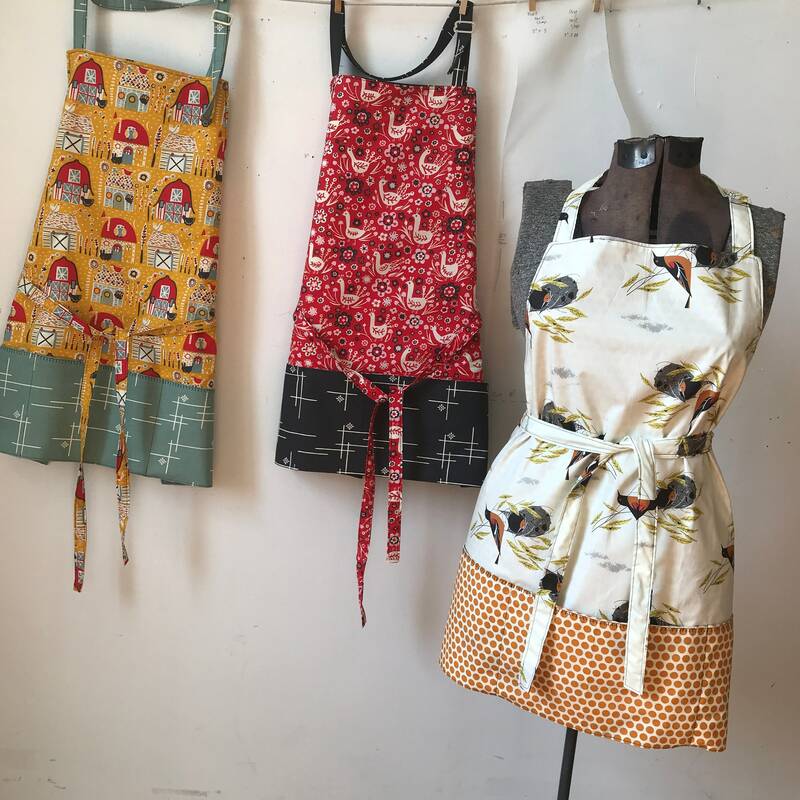 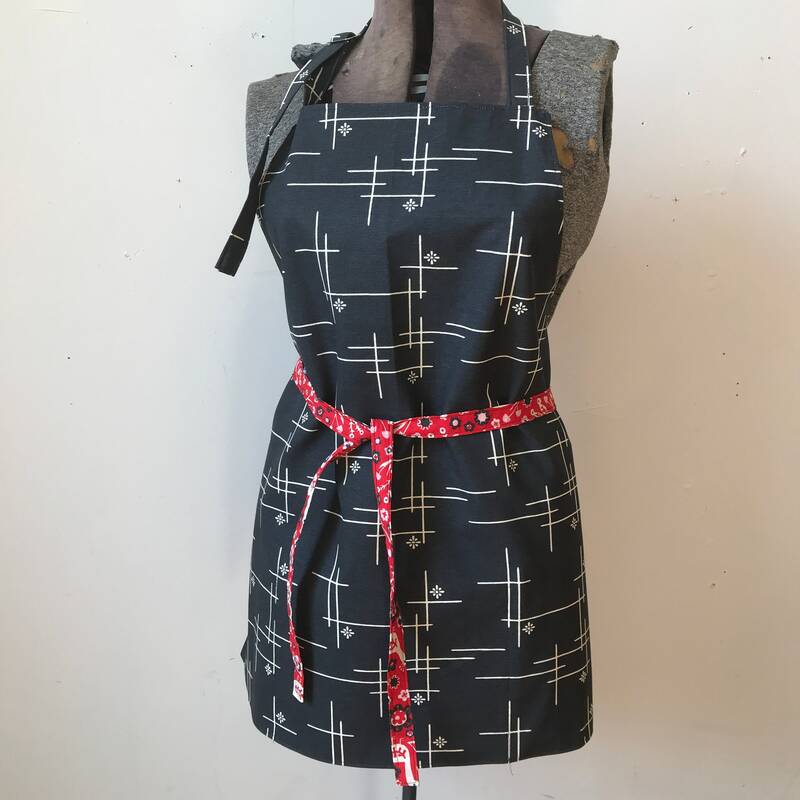 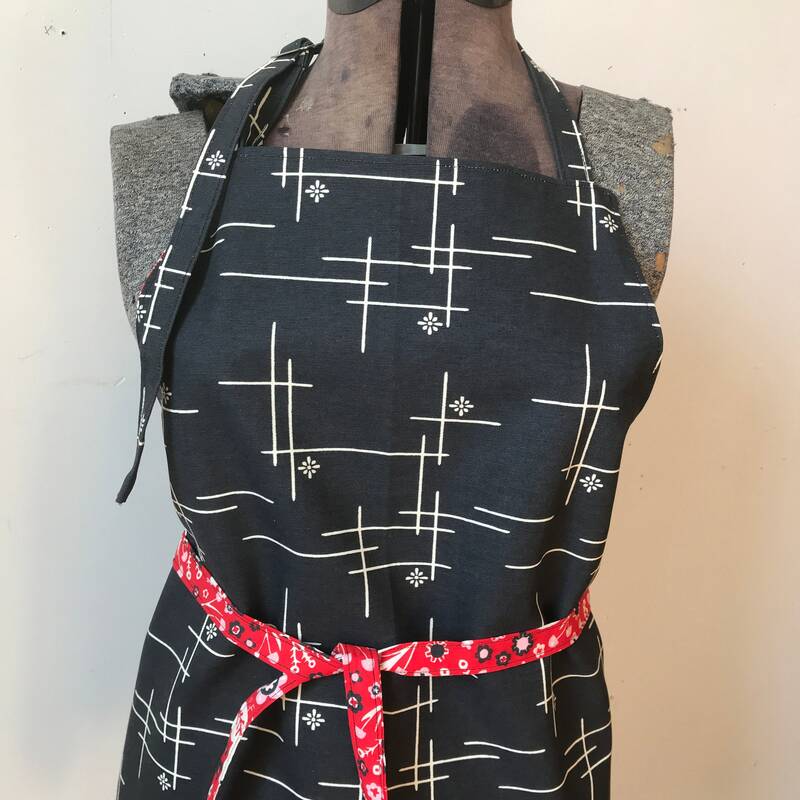 These sweet vintage inspired aprons are handmade and made with organic cotton ! 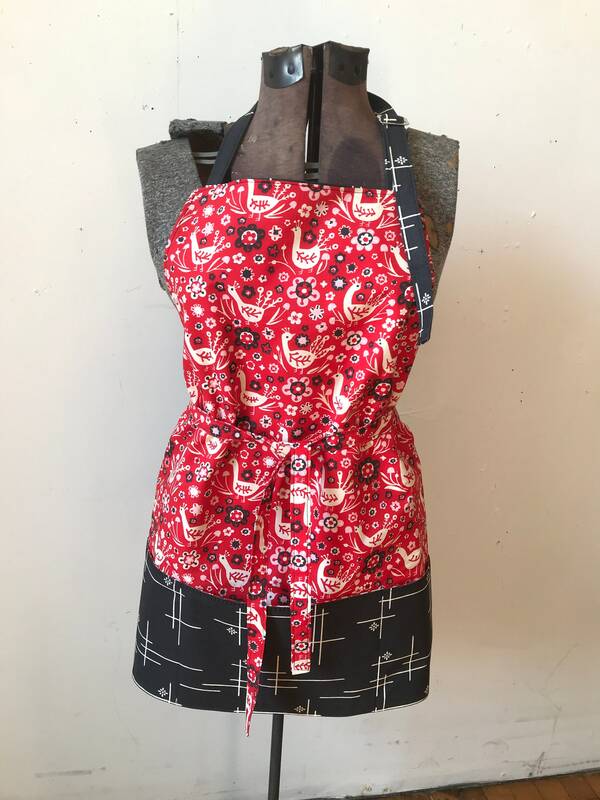 Double sided , double cute! 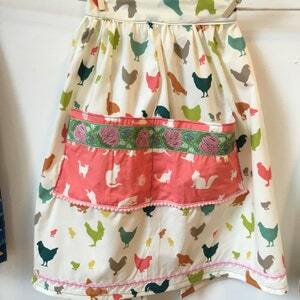 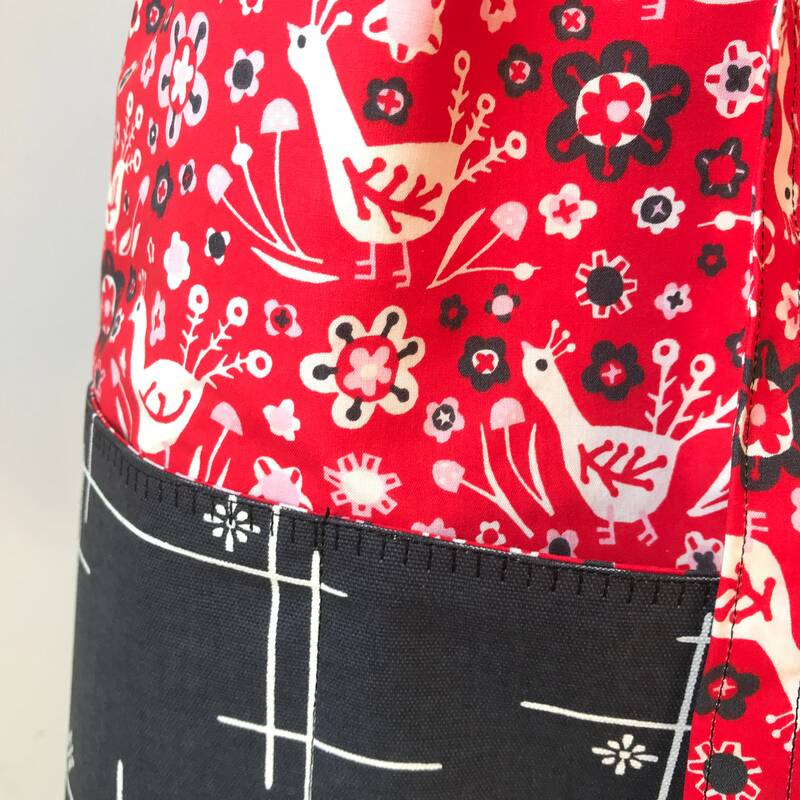 Both sides are super cute with organic cotton fabrics from Birch fabrics. 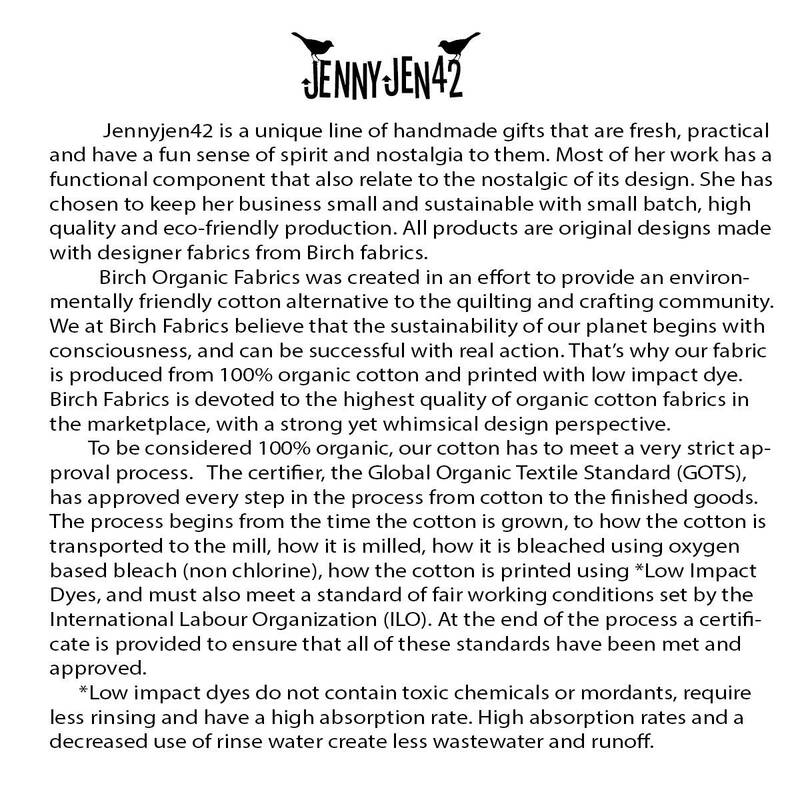 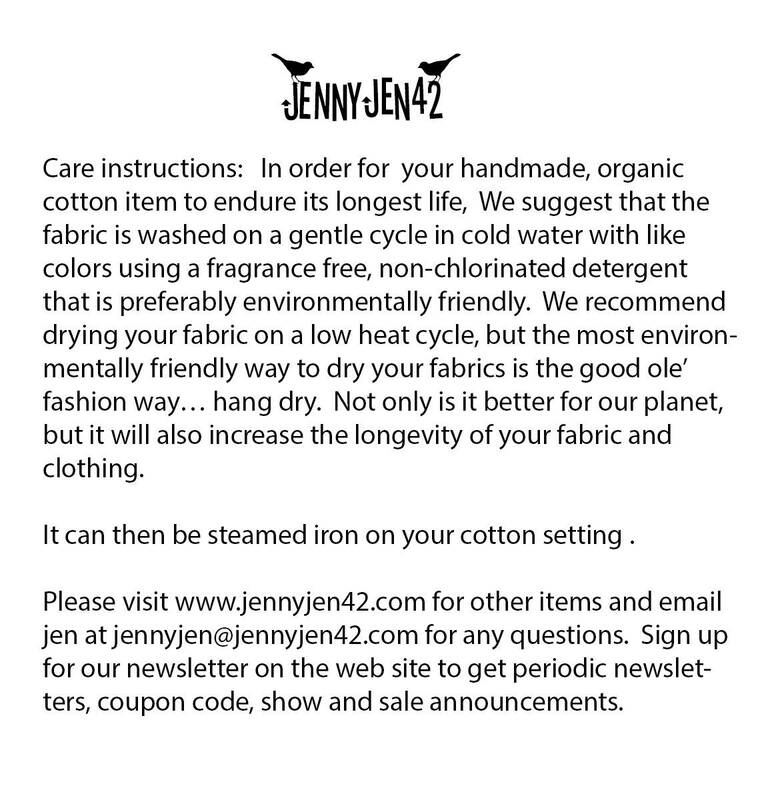 Fabrics have been printed with low impact dyes! 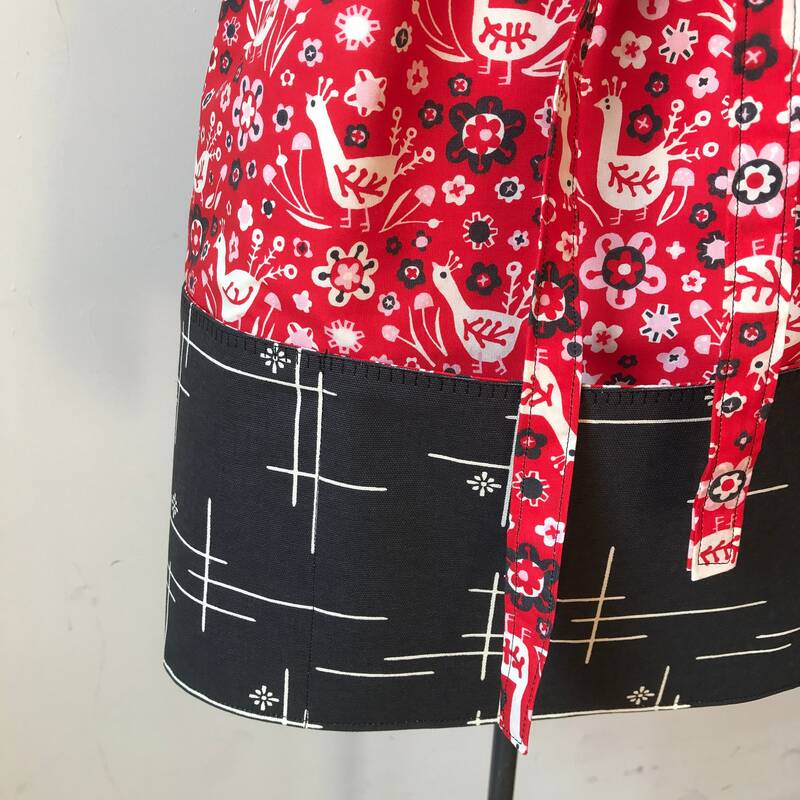 Pockets line one side with reverse fabric pattern. 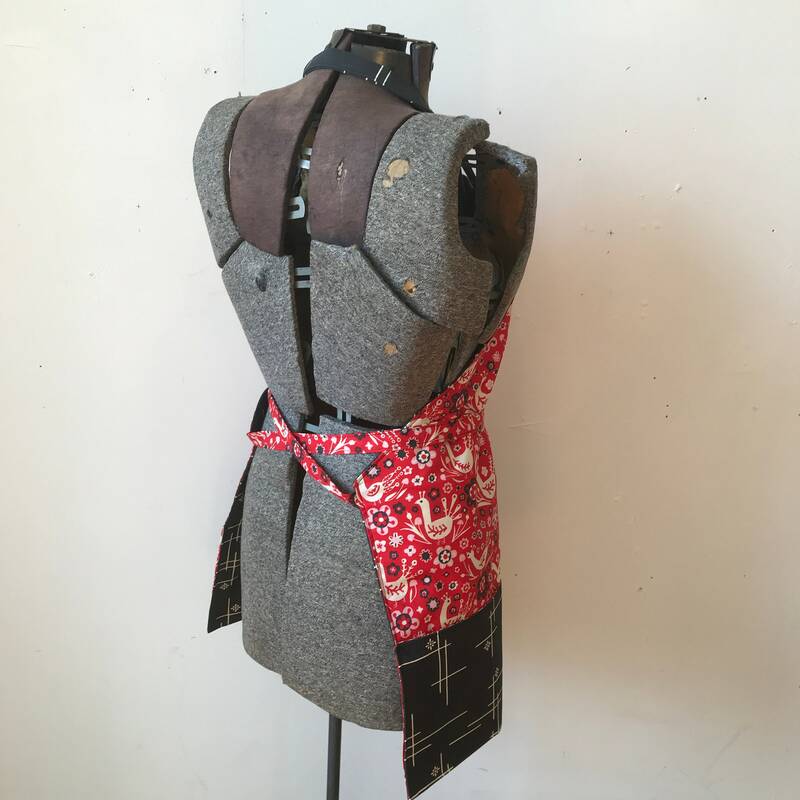 Body measures 25" tall by 27" wide for regular size. 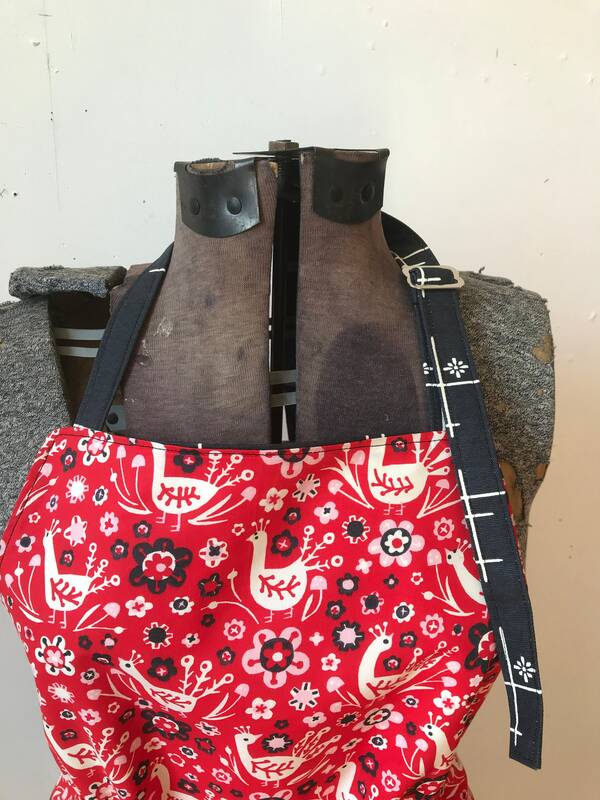 Longer size measures 30” tall by 28” wide. 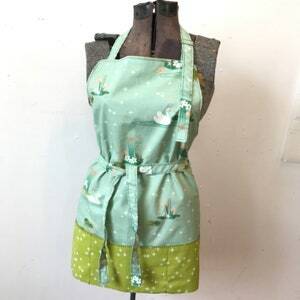 Small measures 22” tall by 22 “ wide.